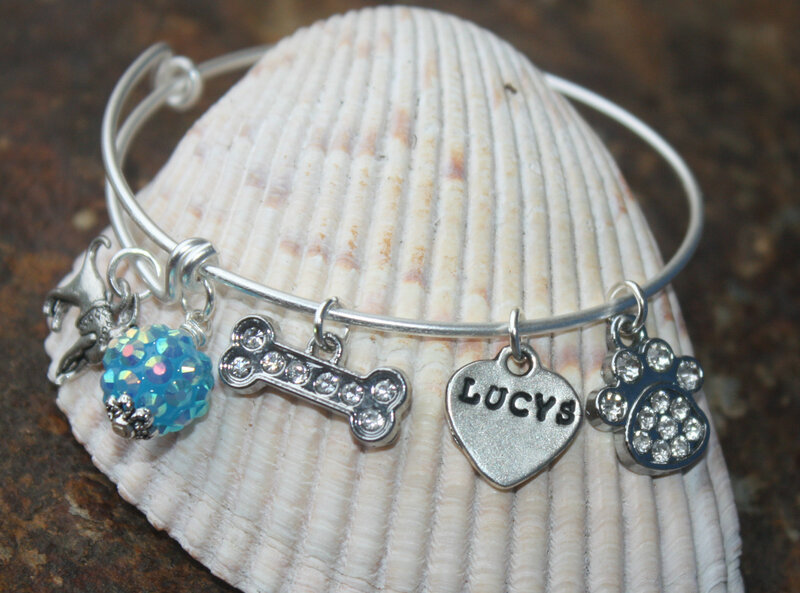 This bracelet was made especially for Lucy’s Lost Loved Ones but is perfect for all dog lovers BECAUSE you can choose your charms. The adjustable bangle bracelet is made of high quality sliver plate wire and adjusts to fit all size wrists. You get 4 charms and a crystal on it. 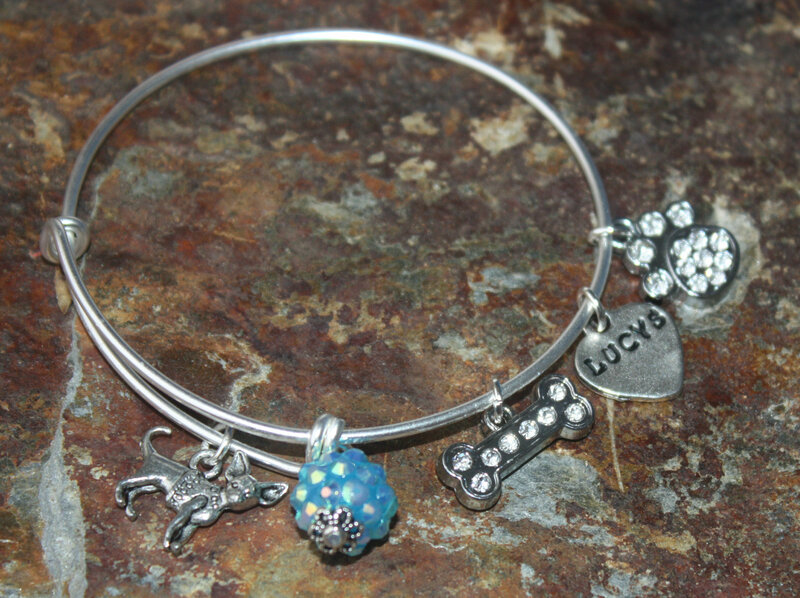 You can pick the name or message you want on the Custom Stamped charm, your breed of dog and color of paw. 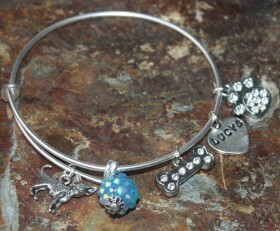 Perfect bracelet for dog lovers. Note: If you want a custom stamped name with more than 5 characters, we can do it but it will be on a round disk. Please put name you want in the Order Notes under Shipping. Categories: Animals, Bangles, Bracelets, Dog Bracelets, Dog Breed Jewelry, Dog Lovers Jewelry, Lucy's Lost Loved Ones, Rescue Dog Jewelry, Shop.